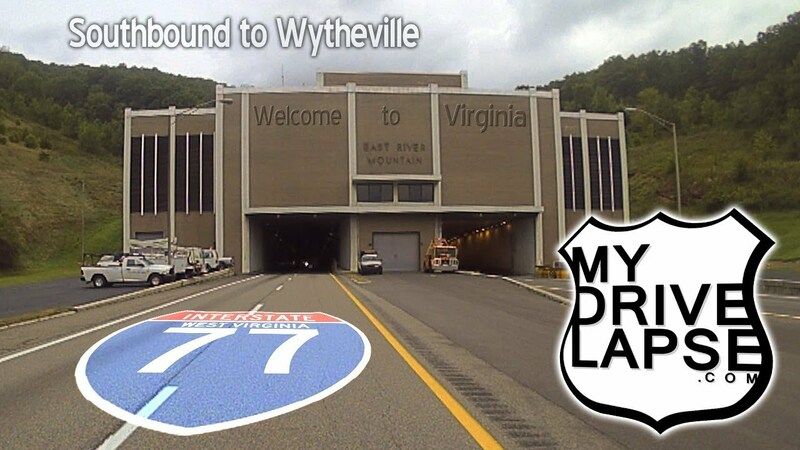 This drive takes you through the East River Mountain Tunnel, and then the Big Walker Mountain tunnel, and on into Wytheville, Virginia on Interstate 77 Southbound. I finished the drive with a trip to one of my favorite antique spots, Snoopers, on the I-77/81 strip between Wytheville and Max Meadows. I made this trip in August-September 2017. Video shot with a Brinno TLC-200 Pro time-lapse camera mounted on my roof with a homemade magnetic case. I travel with two Brinno cameras – one facing forward, the other in reverse. Sometimes the reverse camera captures better video (fewer raindrops and bugs hit the rear-view lens).